If you’re visiting with us for the first time, we’d like you to know exactly what to expect. We want to provide you with an experience that makes you feel confident in choosing us to help you get out of pain and feel great again. Our office has often been described as warm and inviting. We hope you think so, too. Your first visit will take about 45 minutes. 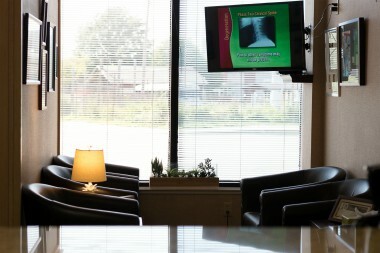 On this first visit, we ask that you bring in any recent X-rays or MRI’s pertaining to your current condition. When you enter the office you’ll be warmly greeted by either Joan or Paula, and invited to sit down to finish any unfinished new patient paperwork. You’ll then be escorted to a private room where we’ll measure your blood pressure, height and weight. If you are in a lot of discomfort, we will help alleviate any discomfort with therapies such as heat, electrical muscle stimulation, ice, intersegmental traction or ultrasound. 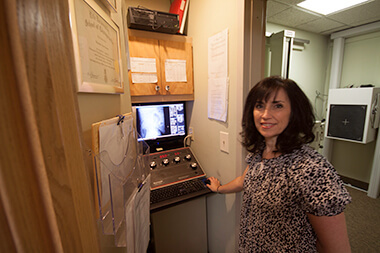 We’ll then take the time to review your X-ray and exam results so that you feel confident that we’re aware of the origin of your problem, and that we have the solution that’s right for you. 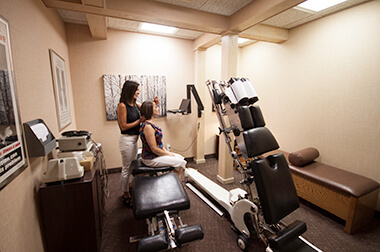 Your visit will conclude with a precise chiropractic adjustment designed to alleviate your pain and elevate your wellness potential. If your pain is severe and still in an acute state, we’ll most likely schedule you to visit with us for two or three additional times during the first week. If your pain is more chronic in nature, then it’s likely that we’ll schedule you for an additional one to two treatments during that time period. Chiropractic care can deliver the results you’ve always dreamed of if given a chance. It works in accordance with the laws of nature, meaning that it’s not an instant cure…but a deep and lasting one. Do you have a problem we can help? 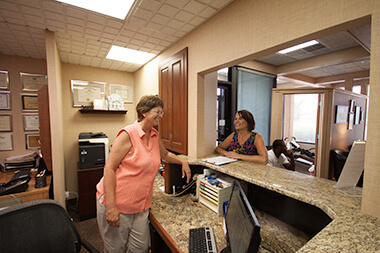 Contact us today for a same-day appointment!